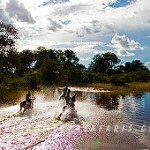 Motswiri Camp is primarily a horse riding camp – it is small, personal, stylishly and comfortably after a rebuilt in 2010. 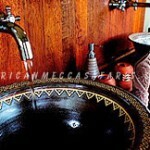 It meets the latest, exacting environmental standards and is largely solar powered. It pride on its personal service, attention to detail and ability to tailor activities to suit individual ambitions and interests. 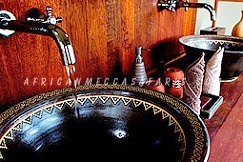 The central mess area boasts a large, comfortable sitting area with separate dining. 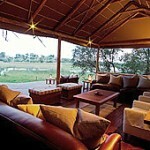 It has wonderful views of the spillway and the wildlife that is attracted to it to drink. 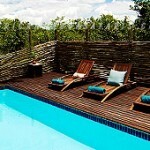 There is a discreet sunbathing area with its own plunge pool to jump into when the going gets a bit too hot! 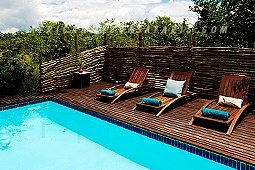 A secluded viewing platform overlooking a deep pool where the elephants come to bathe is a good hideaway. 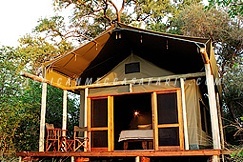 Sited on the raised banks of the Spillway, the five tents are airy, spaced well apart and each has its own self-contained shower, toilet and large decked veranda, and can be configured for double bed or twin accommodation. 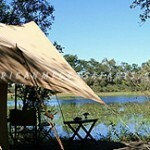 The camp welcome families and have a specially designed family tent. The communal areas and one of the five tents are specifically designed to cater for disabled guests. 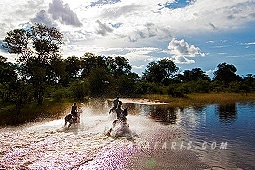 Motswiri is located on the banks of the spectacular Selinda Spillway, an ancient watercourse linking the Okavango and Kwando-Linyanti floodplains. 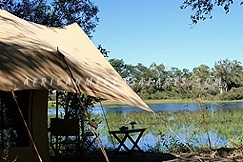 The reserve combines the open floodplains of the Selinda Reserve to the immediate west and north of camp with the riverine forests lining the Spillway to the east. 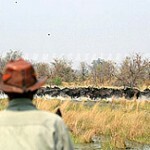 We operate exclusively in over 120,000 pristine acres. 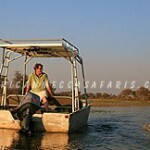 Motswiri Camp is a 40 minute, breathtakingly beautiful, scenic flight from Maun. 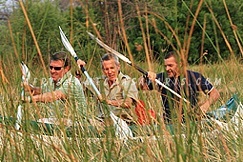 Whether riding, walking, boating, game driving, canoeing, game at Motswiri is wild and free roaming with movement of wildlife into and out of the reserve. 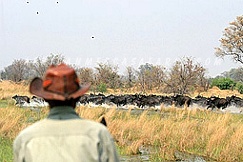 Species include African Bush Elephant, African Buffalo, Hippopotamus, Spotted Neck and Cape Clawless Otter, Lechwe, Blue Wildebeest, Giraffe, Nile crocodile, Lion, Cheetah, Leopard, Brown Hyena, Spotted Hyena, Greater Kudu, Sable Antelope, Roan Antelope, Impala, Tsessebe, Steenbok, Duiker, Reedbuck, Side striped and Black backed Jackal, Vervet Monkey, Plains Zebra, Warthog, Chacma Baboon, civet, genet, serval, spring hare, bush baby and the endangered African Wild Dog. 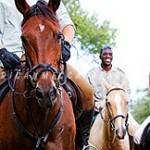 Horse riding – Up to six hours per day are spent in the saddle – riding fitness is a distinct bonus! Riders must be able to rise to the trot, and control your horse at all speeds. The camp endeavors to match the riding ability of those on the rides so that all travel at a pace that matches riding ability. 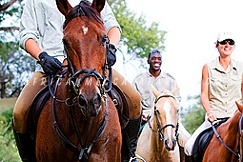 Riders may be required to gallop out of trouble, so the camp cannot take beginners, and it will be at the camps discretion as to whether novice riders can be accepted, taking their own safety and that of the group as a whole into account. Guests will be required to complete a riding questionnaire, which will enable the horse manager to match you to a horse that will suit. Riders should be aged 12 and over, and not be heavier than 95kgs, 210 lbs or 15 stone. It is entirely the responsibility of the client to supply their own well fitted hard hat or helmet, and the camp neither provides such hats nor accepts any liability for injury sustained as a result of failure to wear appropriate protection. 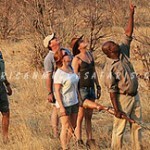 Walking safari – There is no better way to get close to nature. 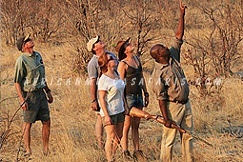 The walking safaris involve tracking spoors, searching for specific game, bird watching, detailed study of flora and fauna – whatever you want! You will be accompanied by an armed, professional guide who will tailor his activities to your specific areas of interest and will know the answers to most of your questions!. 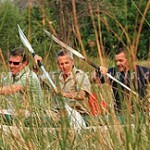 Other activities (seasonal) – The proximity to the Spillway and the high floods of recent seasons make boating and canoeing possible nearly all year round. 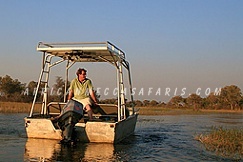 Motswiri have a mix of powered boats, canoes and mekoros, well suited to a wide range of water based activities. 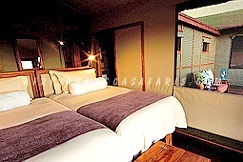 Game drives and night drives are also on offer, although the high floods currently being experienced do restrict the geographical reach of these, and boating options often allow better access to the reserve. 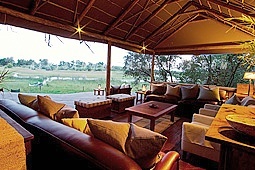 Located on the western side of Selinda Concession. 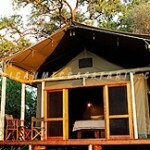 5 tents with en-suite facilities. 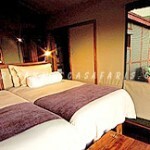 Central mess area with a separate dinning room and plunge pool.